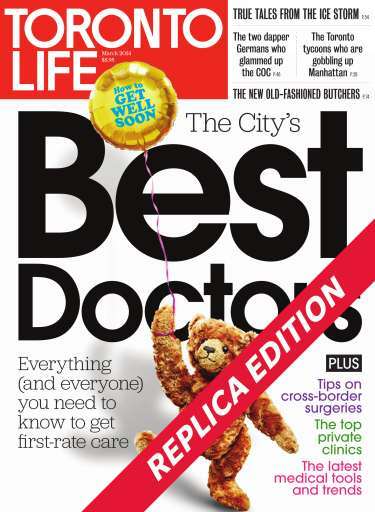 The City's BEST DOCTORS. Toronto's top 30 doctors, as chosen by other doctors. Nicholas Hune-Brown on the Canadian Opera Company's grand ambition. True tales from the ICE STORM, the Toronto tycoons who are gobbling up Manhattan and how Toronto became a city of meat freaks and geeks. Plus, Tips on cross border surgeries, the top private clinics and the latest medical tools and trends.